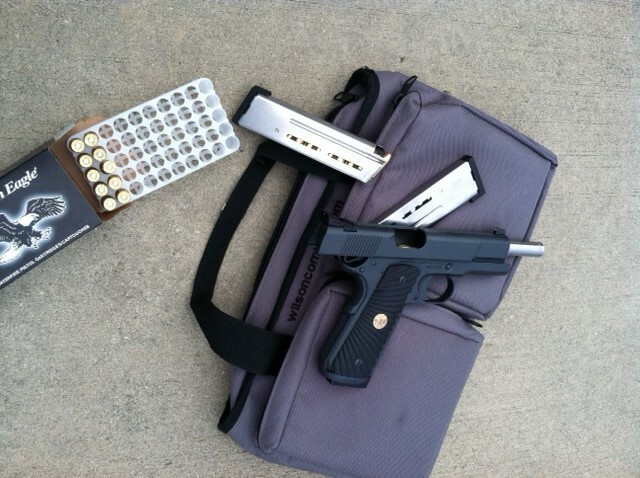 We recently had the chance to try out the 9mm iteration of Federal’s American Eagle “Suppressor” line of ammunition. Although the difference between the Suppressor ammo and the regular American Eagle line of ammo appears to be less drastic in .45, which is essentially all subsonic anyway, the Suppressor 9mm (AE9SUP1) is significantly downloaded to keep the 124 grain projectile from breaking the sound barrier and producing the sonic “crack” that suppressors cannot do anything to mitigate. 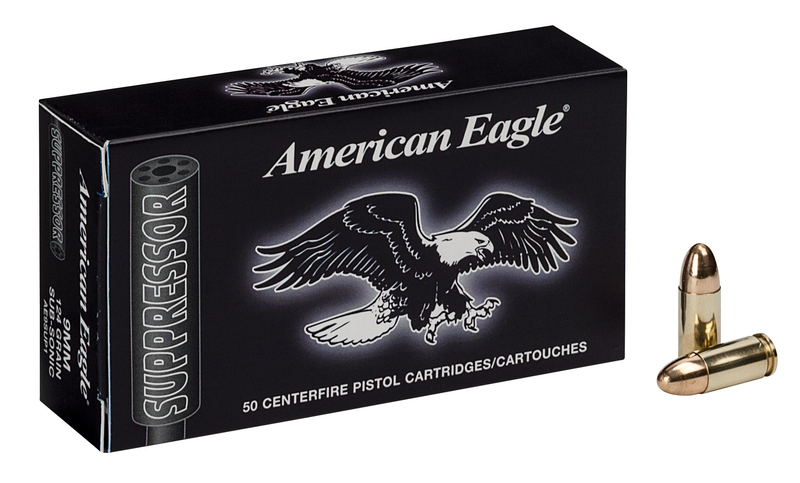 Compared to the standard 124 grain American Eagle 9mm, which is loaded to an advertised velocity of 1150 fps (but really runs closer to 1200 fps through a 5″ barrel), this is loaded much softer at an advertised velocity of 1030 fps. It’s essentially a downloaded 124 grain load that travels roughly the same speed as a typical 147 grain, and besides being subsonic, this comes with an added benefit: it is a cost effective factory-produced match load. Even at the lowest velocity of the ten shots, the AE9SUP1 made a power factor of 127,100 (more than enough for the 125k floor required to make minor). While the MSRP is pre tty steep (it debuted at SHOT 2013 when prices were at or near all-time highs), most stores selling this ammo have it priced between $16 and $18 per 50, which is about the same as any factory 9mm FMJ with demand at its current level.